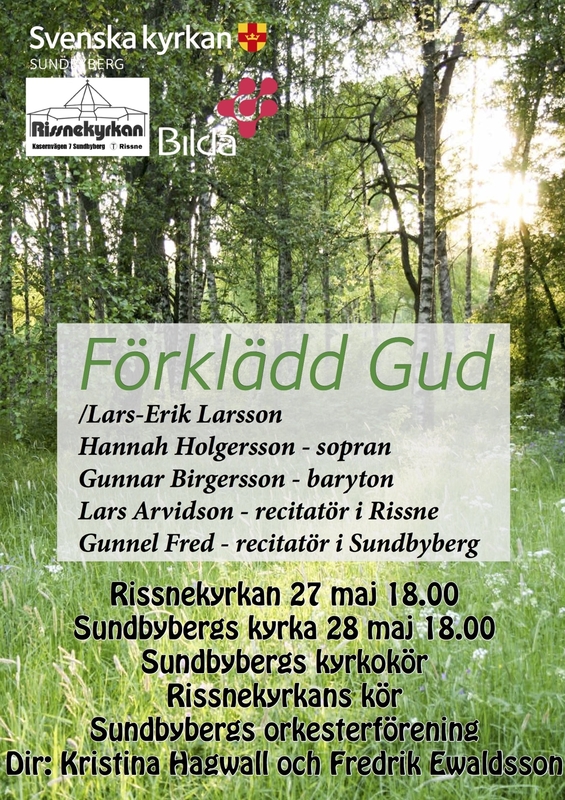 God in Disguise by Lars-Erik Larsson and Hjalmar Gullberg...what a perfect Summer celebration! 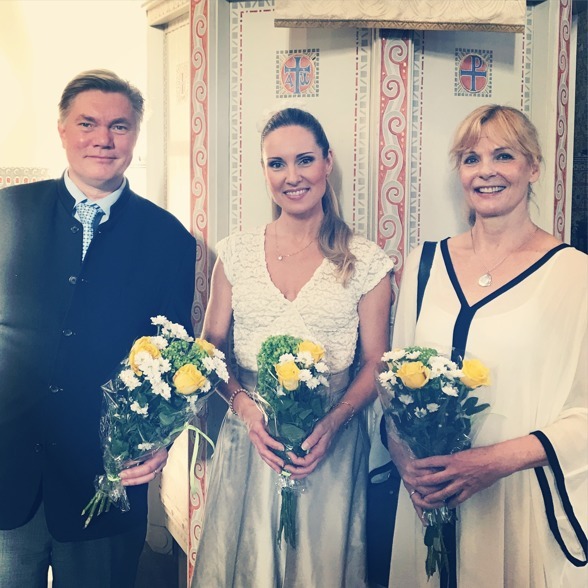 This past weekend I have had the honor and joy performing this Swedish masterpiece twice. Yesterday in Rissnekyrkan and tonight in Sundbybergs kyrka. Performing with me were Gunnar Birgersson (baritone), Lars Arvidson and Gunnel Fred (recital), Sundbybergs kyrkokör, Rissnekyrkans kör, Sundbybergs orkesterförening and Fredrik Ewaldsson and Kristina Hagwall (condutors). One of the most beautiful parts of the lyrics by Hjalmar Gullberg is the following. 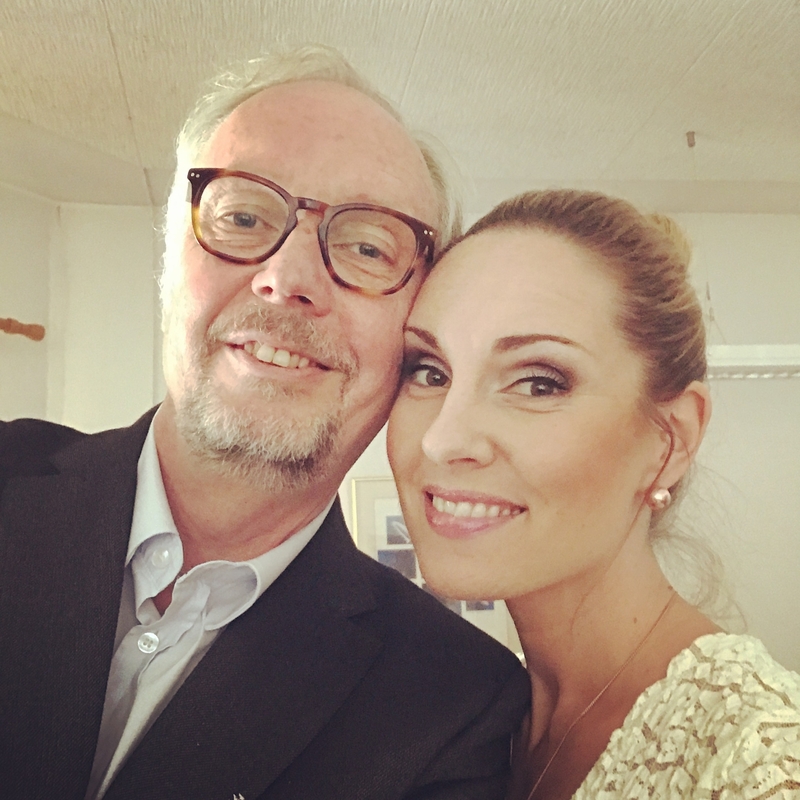 Thank you Lars Arvidson and Gunnel Fred for both giving the lyrics depth and soulfulness! 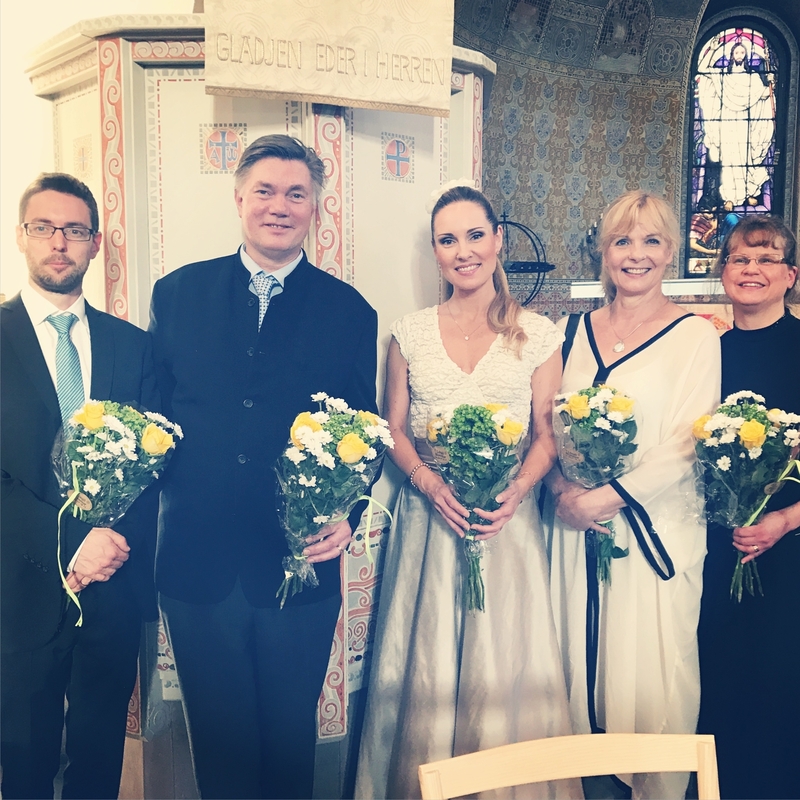 Fredrik Ewaldsson, Gunnar Birgersson, Hannah Holgersson, Gunnel Fred and Kristina Hagwall at Sundbybergs kyrka. 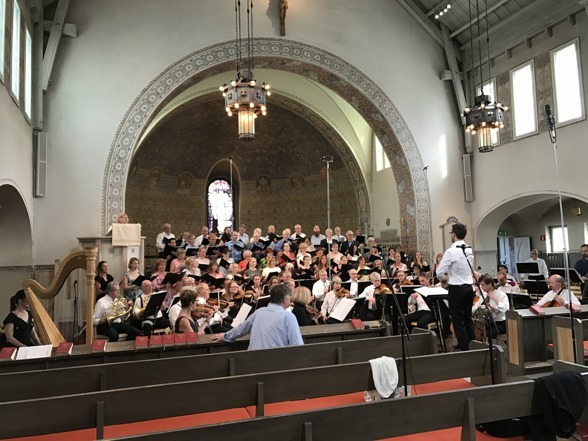 Dress rehearsal at Sundbybergs kyrka. 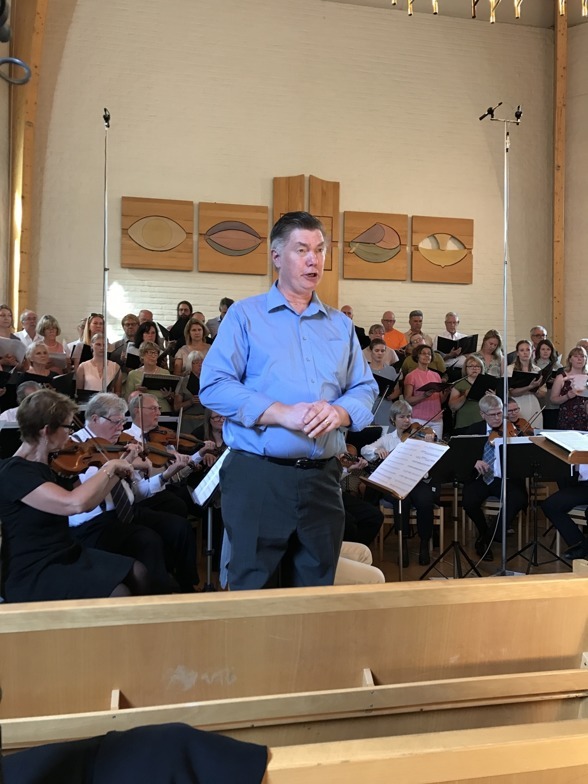 Gunnar Birgersson during dress rehearsal at Rissnekyrkan. 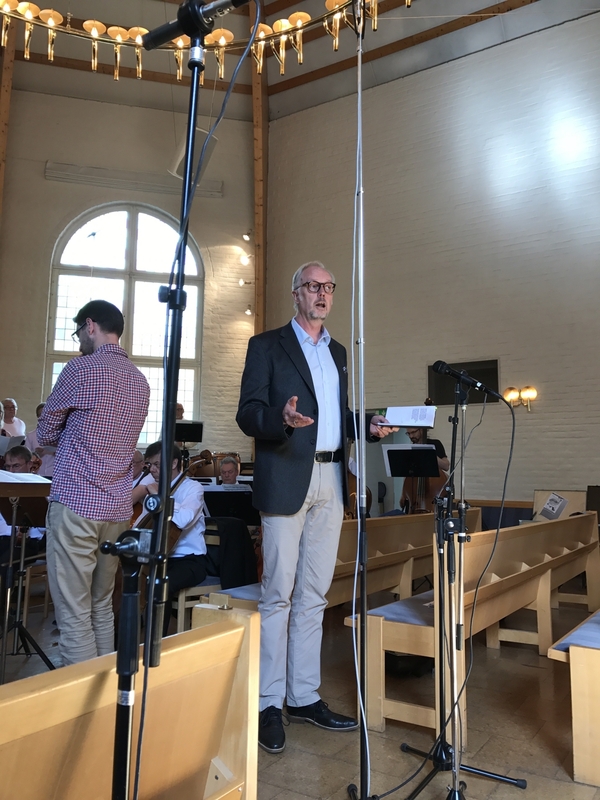 Fredrik Ewaldsson and Lars Arvidson during dress rehearsal at Rissnekyrkan.